Following on from the news that the gesture control development company Thalmic Labs has just secured $120 million thanks to a successful Series B funding. Details of a new gesture control device have been the this week revealing a little more about why investors have provided the company with more funding. High profile investors such as Intel Capital, the Amazon Alexa Fund, and Fidelity Investments Canada have all added money to the Thalmic Labs development fund to “realize our vision for the next era of computing, where the lines between humans and digital technology become increasingly blurred” says Thalamic Labs. The latest gesture control device follows on from the company’s first product the MYO armband which has received a lukewarm response since launch, and allows you to control applications and other hardware by rotating and moving your arm. The Road to VR website explains a little more about the leaked wristband. 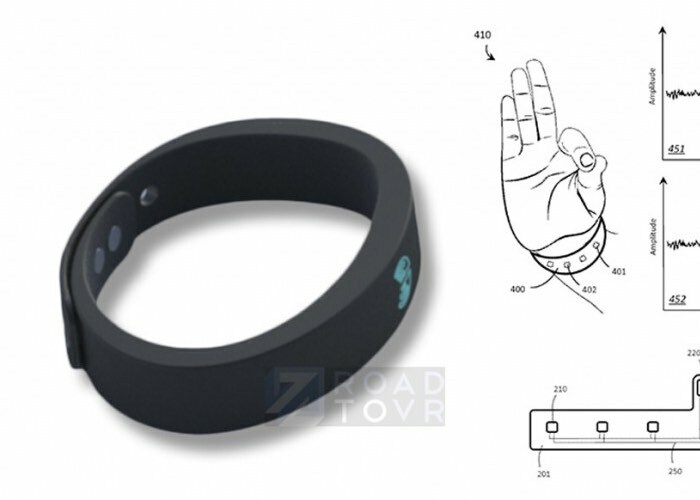 According to this source, who provided the previously unseen rendering (above), the new device is a wristband that senses a much finer level of gesture detail, seemingly able to detect individual finger-based gestures. The source claims that the core technology behind the new device is based on this patent, filed in June of last year by Thalmic Labs under the title “Systems, articles, and methods for wearable human-electronics interface devices”.